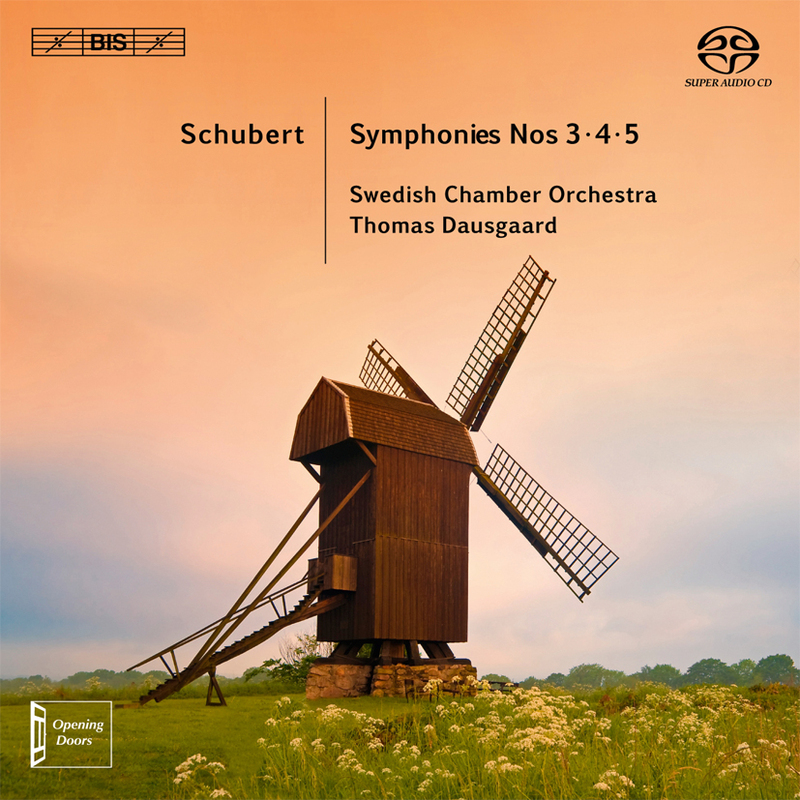 Working their way backwards through the symphonic output of Franz Schubert, Thomas Dausgaard and his Swedish Chamber Orchestra have now reached Symphonies Nos 3, 4 and 5. The team’s accounts of the ‘Unfinished’ and ‘Great C major’ made critics sit up and take notice: ‘a consistently refreshing view of both masterpieces’ was the verdict of the reviewer in Gramophone, whose colleague in Daily Telegraph compared the result to ‘having a layer of varnish removed from a much-loved painting’. That disc was followed by a Sixth which ‘does away with many clichés of interpretation aimed at lending the work an inappropriate late-beethovenian heaviness’ (klassik.com), coupled with the orchestral movements of the music to ‘Rosamunde’ in ‘a tremendously transparent, clear and precise interpretation’ (Pizzicato). 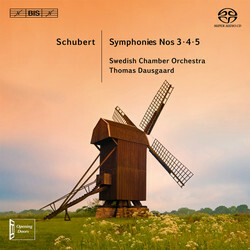 The three symphonies that Dausgaard and the orchestra now offer us were all composed before Schubert had turned twenty, mainly for the use of student or private orchestras. They nevertheless demonstrate their composer’s astonishing command of the orchestral medium, and although influences from Haydn and Mozart are clearly discernible, the young Schubert exhibits a striking independence in his approach to this the most prestigious of all genres. Schubert himself doesn’t seem to have taken much interest in the works after having composed them, however, not even mentioning them to prospective publishers. This possibly influenced Brahms when he was co-editor of the first critical edition of Schubert's works and advised against the publication of these early symphonies, regarding them as nothing more than preliminary stops on the way to the late masterworks. But that was at a time (the late 1800s) when Schubert’s genius was not yet widely recognized – today it is hard to imagine being without the irrepressible tarantella-finale of the Third Symphony, the dramatic tension of the opening of the ‘Tragic’ No. 4, or the Mozartian minuet of the Fifth.